Hi everyone! 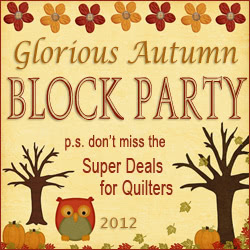 Welcome to Day 38 of our Glorious Autumn Block Party. 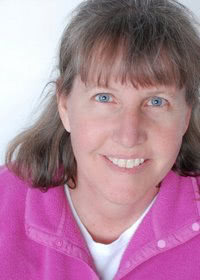 Today we have Erin Russek as our featured designer and 40% off savings from Fort Worth Fabric Studio too. 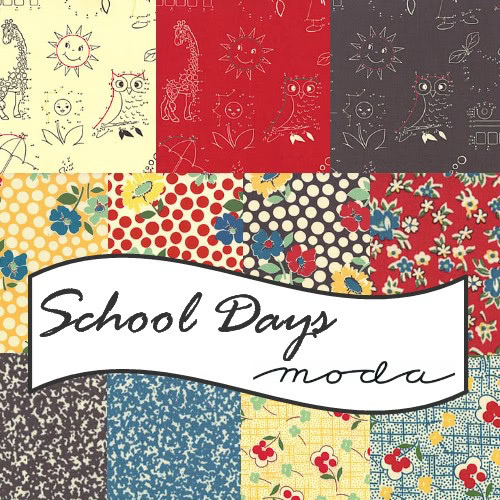 40% OFF all SCHOOL DAYS fabric by American Jane for Moda! No special code is required. The discount applies to all School Days yardage! SALE runs through December 4, 2012! 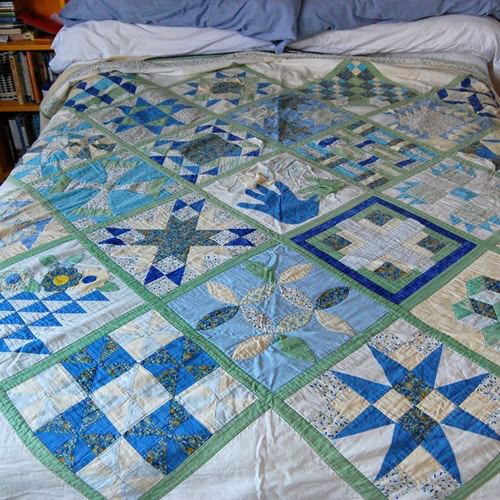 I started quilting when I was a student, it helped preserve my sanity. My first quilt fell apart due to there being very little quilting (It was tied actually). 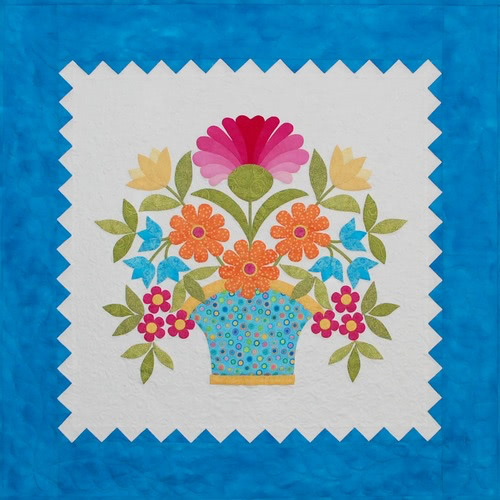 When I was working on my quilt Bluebird’s Piece O’Cake I decided to try and design my own center block and border. I loved it and haven’t stopped yet. Miss Hannah is my favorite. Mostly because it was the center of my first Block of the Month and is named for my daughter. 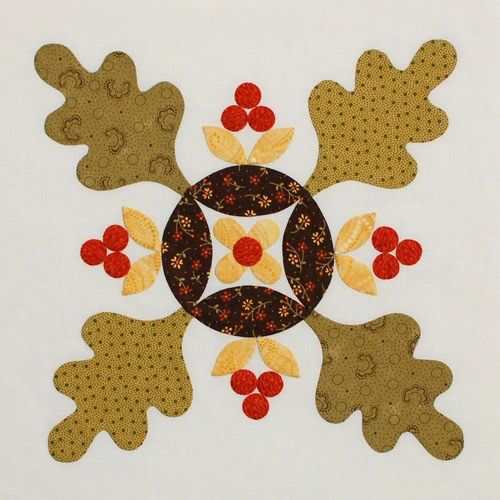 Here’s Erin’s block, Leaves and Berries. If you’re new to appliqué, I suggest browsing around Erin’s site as she has fantastic tutorials. Head over to her blog to download the tutorial.